. - Upasana - Why, How, When? => Upasana - Why, How, When? Upasana - Why, How, When? Various Saints and evolved devotees have composed devotional Upasanas (hymns in praise of the Lord) from approximately the twelfth century onwards. 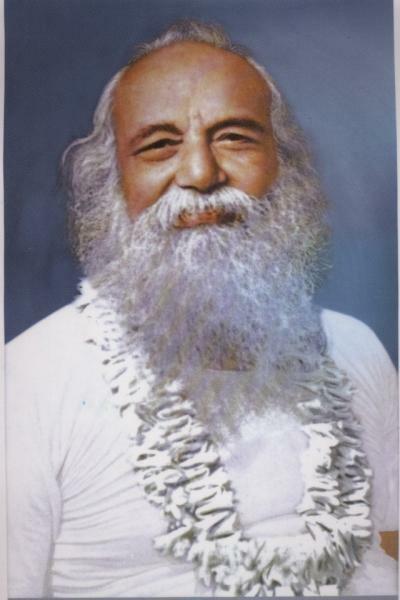 Sri Sri Babamani created the grand upasana for HIS disciples & thereby making available a beautiful and easy medium to light the lamp of devotion in the hearts of worshippers and enable them to invoke and imbibe the grace and blessings of a Deity by offering Upasana( Babamani's teachings Is that Upasana to Om is upasana to all Deities. Singing an Upasana conceived with the resolve of Saints accomplishes these objectives, but only when it is sung from the heart and as per the science of Spirituality. An act is done with the heart only when its importance is genuinely understood. Explaining the science or principles in such things helps in early imprinting of its importance on the mind. With this objective, the science of Spirituality explains the various acts to be performed while offering Upasana. In a SAMABETA UPASANA it is very important to perform each act as per the science of Spirituality. Many are not aware of various facts; for example, while offering Upasana to God, one can move the platter in a clock-wise circle from the anahat chakra (at the heart area) to the adnya chakra (mid-brow region) of the Deity or that one must perform circumambulation after Upasana. If these facts are not known they will not be performed or will be performed incorrectly. In this article, one will understand how to perform all the actions pertaining to Upasana as per the science of Spirituality. If every one tries to perform the Upasana with intense yearning and as per the science of Spirituality, then it will lead to an increase in collective spiritual emotion which will further activate the Deity's principle and everyone will benefit from it. Similarly, the atmosphere Will get purified and become sattva predominant. We pray at the holy feet of the Guru that may everyone understand and perform Upasana in accordance with the science and experience an increased awakening of their spiritual emotion. In the Era of Strife, (Kaliyug), man doubts the very existence of God. In such a spiritual climate, offering Upasana has been designed as an easy means for man to be able to realise God. Offering Upasana means calling out to God with intense yearning. If a human being calls out to a Deity through the medium of the Upasana then he is granted either a vision of God in the form of light or of the Deities' form. Deity is appeased : The hymns in an Upasana which are in praise of the Deities, also entail an earnest prayer made unto God to win His grace. The Deities and God who bestows grace, are pleased with the praises and worship of the one who offers Upasana. 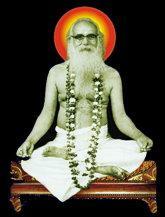 Composers of the Upasana : Most of the Upasanas have been composed by Saints and evolved devotees. An Upasana contains both the resolve and blessings of the spiritually evolved. Thus, a seeker benefits at the material and spiritual level due to the benefit accrued through Their 'Energy of Resolve'. Activation of spiritual emotion : According to the Path of Devotion it is very essential that the follower develops devotion and spiritual emotion towards God sooner rather than later. In the primary stages it is difficult to develop spiritual emotion unto the formless, that is, the un-manifest principle of God. However, a seeker feels close to God with a form which has attributes and a human appearance. 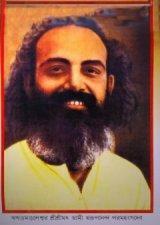 He is able to develop spiritual emotion unto Him faster. Upasana is an easy medium of worship to the manifest form of God. The subtle form of the words sung in the Upasana softly touch the idol or the picture of the Deity placed in front and return to those listening to or singing to it. This affects the worshippers’ subtle bodies. The words in the Upasana transmit the sattva component accompanying them to the subtle bodies of the worshippers. Consequently one who sings the Upasana feels light. The spiritual emotion of the worshippers is awakened due to the activation of the sushumna nadi (central channel) by the words in the Upasana . Strengthening of faith : As the seeker's spiritual emotion for the Deity he worships is awakened during Upasana, he gains a spiritual experience. This helps in further strengthening his faith in the Deity he worships. Deity's principle is more active during Upasana : As the principle of the Deity is more functional during Upasana, a seeker derives more benefit from the energy and Chaitanya (Divine consciousness) of the Deity. That is why our presence in the temple (SAMABETA UPASANA HALL) during the offering of Upasana is more beneficial than our presence there at any other time. Upasana is meant to be performed at sunrise and sunset. At sunrise the raja-tama predominant atmosphere present throughout the night is destroyed and the absolute fire element frequencies of Deities arrive in the universe. Hence, Upasana is to be offered at sunrise to welcome them. 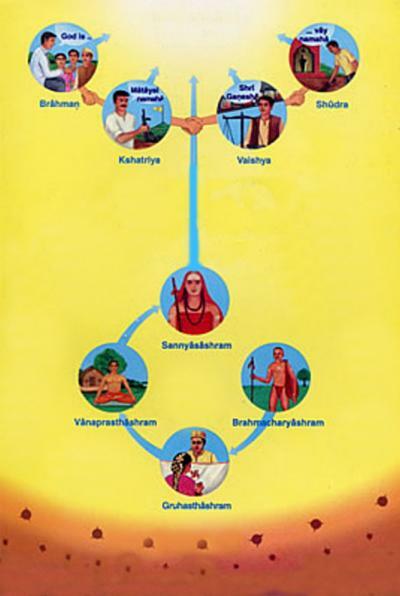 The 'tarak Chaitanya' (saviour form of Chaitanya) transmitted during the arrival of the frequencies of Deities at sunrise is to be welcomed by the worshipper through the medium of the Upasana, whereas at sunset, the Upasana is performed to destroy the raja-tama frequencies and to invoke the Deities' 'marak Chaitanya' (destroyer form of Chaitanya). That is why Upasana should be performed twice - at sunrise and at sunset. What is the science in performing Upasana at sunset? At sunset the proportion of the absolute fire element in the Sun's rays starts reducing and the predominance of the raja-tama virtue in the atmosphere increases. The generation of raja-tama frequencies also increases. Taking advantage of this situation, the negative energies increase their movement in the environment. To prevent distress from such a predominately raja-tama environment, it is essential to evoke the Deities through the frequencies of sound emitted through the Upasana and bring these frequencies into the orbit of the universe. As a result the proportion of the frequencies of Deities enriched within the environment increases and the proportion of distressing vibrations decreases. This creates a protective amour around the devotee's body. Why should a conch be blown prior to the Upasana and any ritualistic worship? A conch should be blown, when beginning any ritualistic worship and prior to the Upasana. By blowing the conch 3 times before beginning any ritualistic worship, movement of negative energies in the environment is reduced. This helps in reducing the obstacle of distressing vibrations and allows the flow of sattva predominant frequencies of the Deities. This further creates a protective sheath or an amour of Chaitanya around the various items used in the ritualistic worship. Any ritualistic worship is concluded by performing the Upasana. During Upasana, the frequencies of the principles of Deities functional in the universe are attracted to the venue of the worship in large numbers. The raja-tama frequencies can create obstacles to the flow of these frequencies. By blowing the conch, the raja-tama frequencies disintegrate; that is why it is blown prior to an Upasana. This purifies the environment and helps in preserving the Divine consciousness generated through the ritualistic worship for a longer period. Thus we derive maximum benefit from the sattva predominant frequencies of Deities attracted to the venue of the Upasana. How to blow a conch? . A. Why should the person blowing the conch raise his neck? The person blowing the conch should raise his neck upwards (towards God) and fully concentrate on the task at hand. When blowing the conch, the eyes should be closed and a spiritual emotion should be nurtured that one is beckoning the subtler frequencies of the un-manifest, destroyer form of God'. This posture activates the Sushumnanadi (Central Channel) in the body of the conch-blower. It also helps in maintaining a perfect balance between the raja-tama virtue in the frequencies related to the absolute air and absolute fire elements that emanate from the mouth. 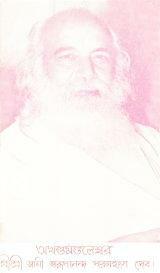 Thus, as per the requirement - the savior and destroyer principles of the Deity get activated. B. When blowing the conch, close the eyes and cultivate a bhav that the marak (destroyer) frequencies of the un-manifest form of God are being received from above. C. Blowing of the conch in a single breath: As far as possible, take a deep breath and fill the lungs with air, and then blow the conch in a single breath. This way the resonance of the vibrations (the resonance of subtle sound in the environment) lasts for a longer period. Due to the strength of the sound vibrations in the resonance, it becomes possible to tear apart the black covering surrounding the aerial body of the negative energies in the vicinity in a short time. D. The sound of the conch should go from a low to a high pitch: When blowing the conch, the sound should start from a low and go to a high pitch which should be maintained till the conch-blower stops. E. Manifestation of negative energies due to the sound of the conch: Due to the sound energy generated by blowing the conch, subtler frequencies flowing down from the universe get activated. They cause disintegration of raja-tama virtue in the atmosphere within a short time. Due to the momentum of frequencies of sound energy emanating from the conch, there is friction between raja–tama virtue, resulting in subtle flames. As a result the sheath around the aerial bodies of negative energies starts to burn. That is why negative energies are unable to tolerate the sound of a conch. They are compelled to manifest because of this sound. However, some of the more powerful sorcerers from the negative subtle region pretend to be unaffected, despite the distress caused by the sound of the conch! After blowing the conch, the Upasana should be sung. There are certain factors which are necessary to perform an Upasana and thereby increase the bhav (spiritual emotion) and sattvikta. Spiritual emotion of the one singing the Upasana : The Upasana should be sung with the bhav that 'God Himself is standing in front and I am calling out to Him earnestly'. The more the bhav one has while singing the Upasana for God, the more enriched with bhav and sattva predominant the Upasana will become. Such an Upasana will reach the Lord faster. Individuals singing an Upasana in this manner benefit as follows: The greater the collective bhav of the group singing the Upasana (SAMABETA UPASANA), greater is the extent and period of preservation of the frequencies of Chaitanya (Divine consciousness) of Deities in the environment. This leads to a reduction in the distress from negative energies and gaining the benefit of Chaitanya. Every embodied soul should make an effort to perform the Upasana with bhav. Also as a covering is formed on the ground by these sattva predominant vibrations (which stops the transmission of distressing frequencies from the Negative subtle regions), the worshipper's embodied soul benefits most from the Chaitanya. Thus during the Upasana the worshipper's gross and subtle bodies get purified and results in his faster spiritual evolution. All of us do not necessarily have a good level of bhav. To enable even those having low bhav to perform Upasana with increased bhav, (Try to do Upasana with the CD/ Audio Cassete of Babamani) who has a high level of bhav, and other seekers. The Upasanas are enriched with bhav, sattvikta and Chaitanya. According to the spiritual principle that 'word, touch, form, taste, odour and the energy related to them, all coexist', if worshippers sing the Upasanas in the manner sung by these seekers with bhav, then it will help awaken bhav in them too at a faster pace. The Upasanas should be sung after understanding their meaning. Most of the Upasanas have been composed by Saints and evolved devotees; at times, it is difficult to understand the meaning of such Upasanas. Singing the Upasana after understanding their meaning helps in an early awakening of bhav towards Deities. I have seen one video on you tube, he says to avoid bad effects of ketu Graham, one should perform upasana of chinnamasta mantra. Could you please elaborate how to perform upasana.? Is there any rules to perform upasana? Today, Babamani's followers 101 visitors (117 hits) on this page!